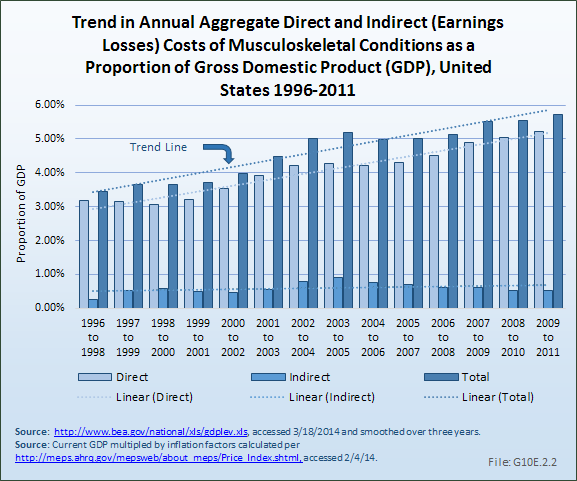 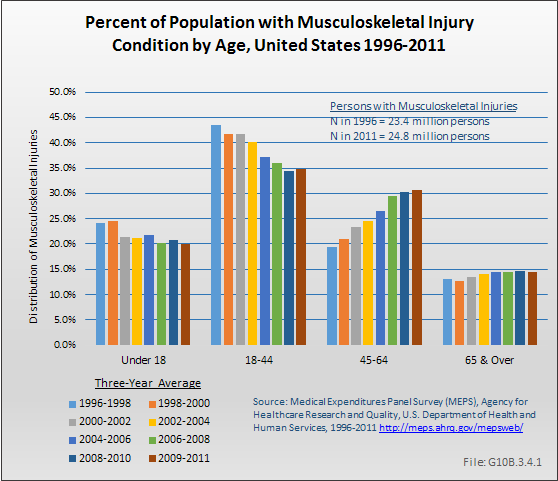 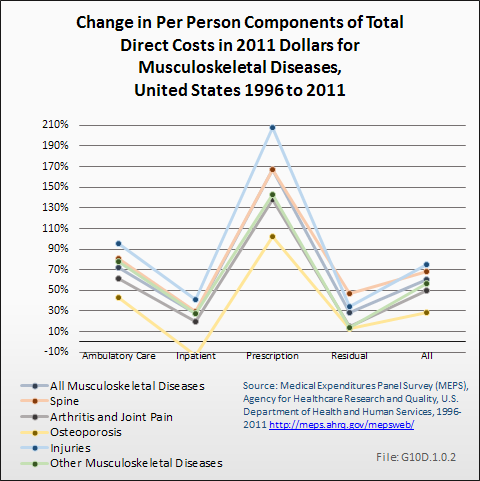 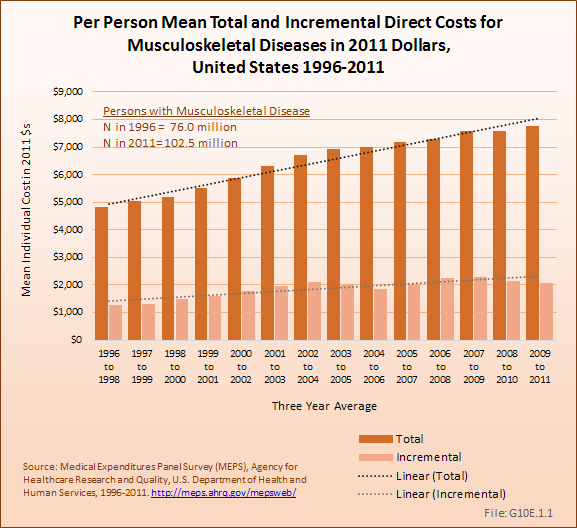 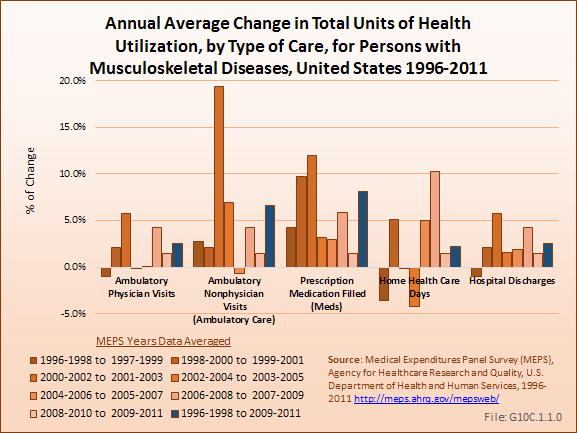 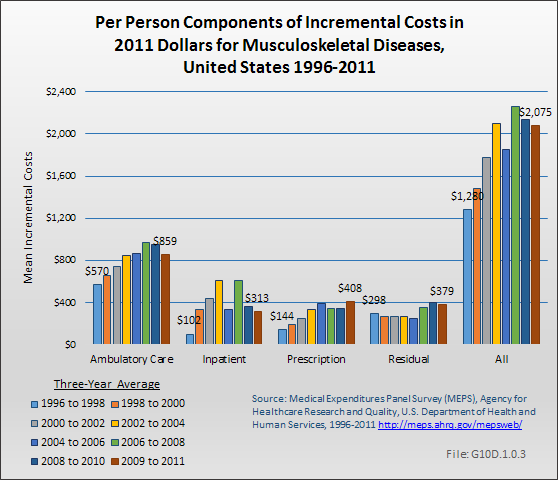 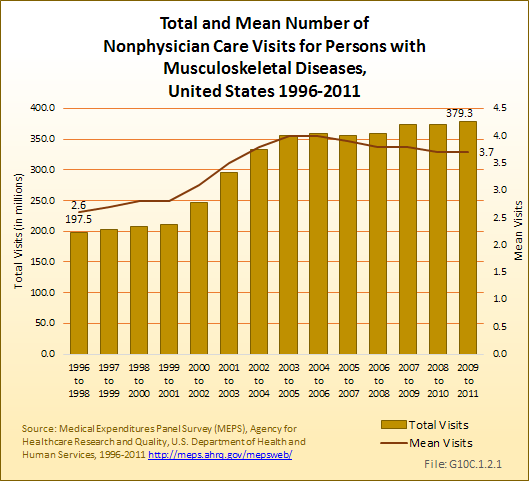 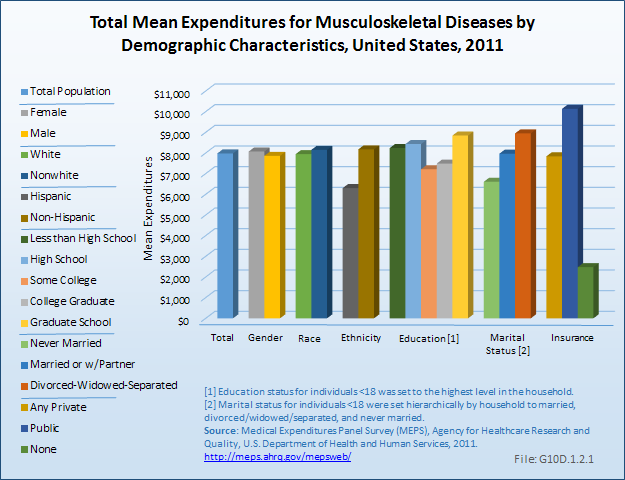 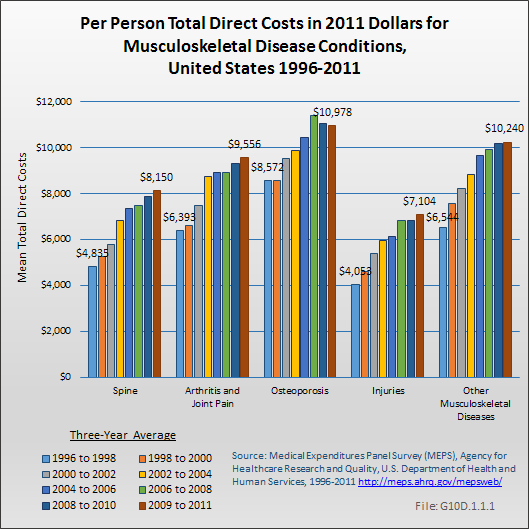 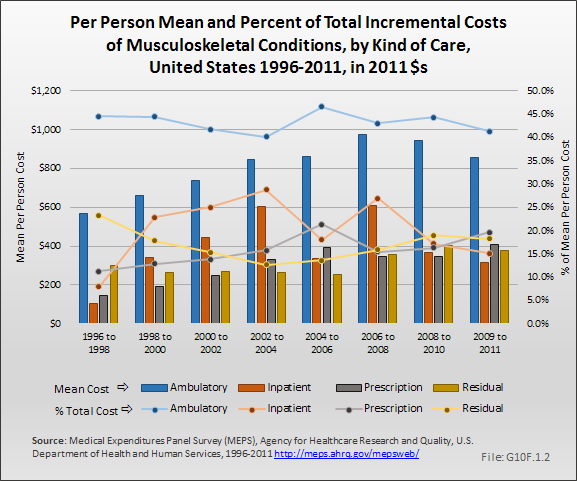 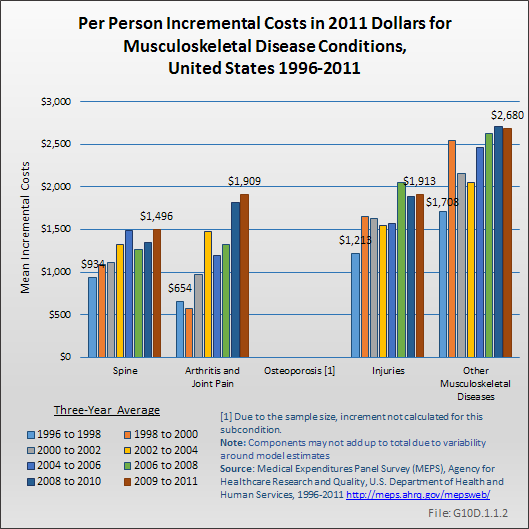 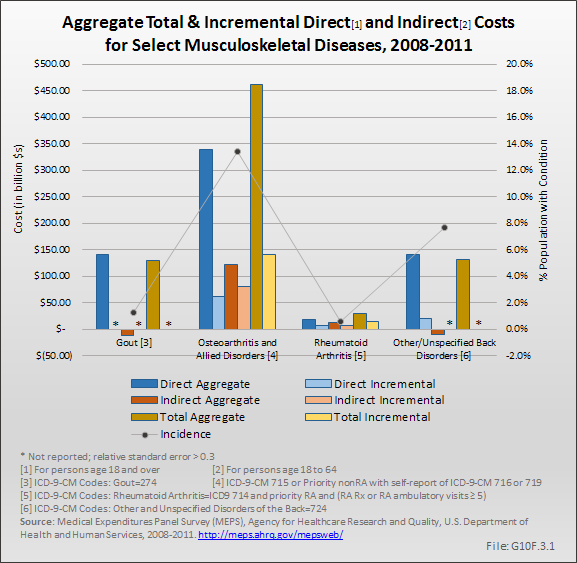 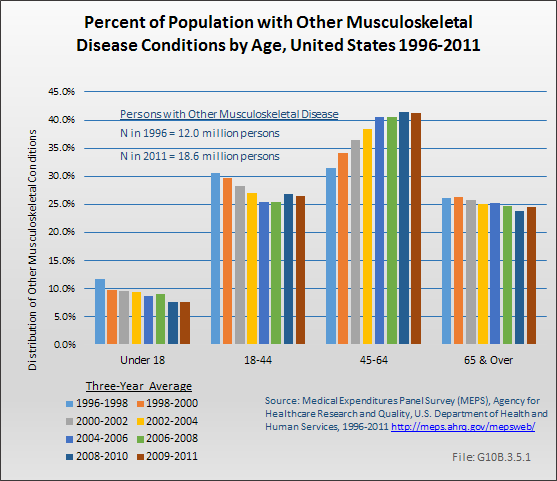 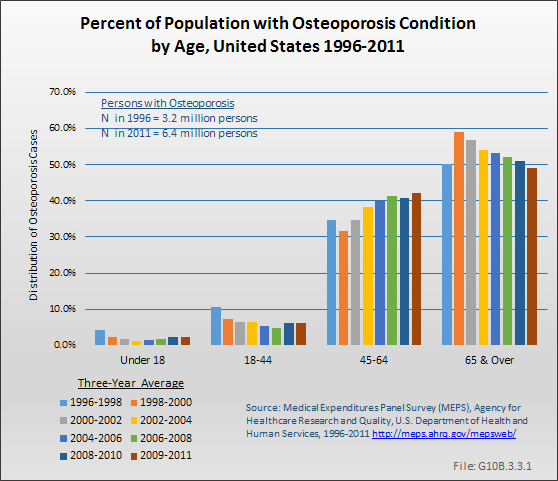 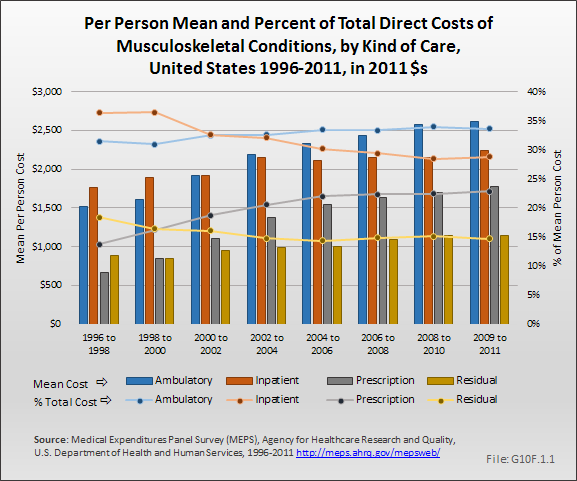 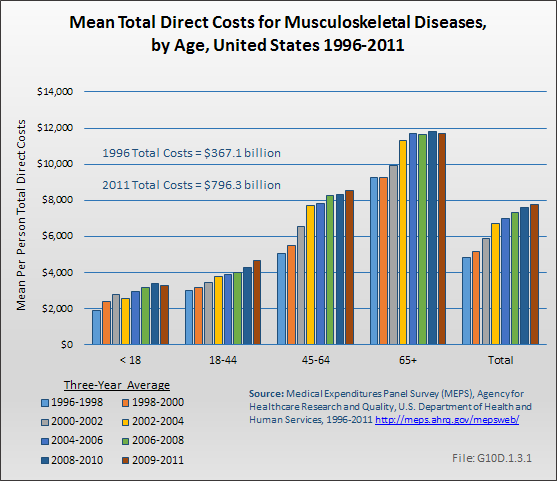 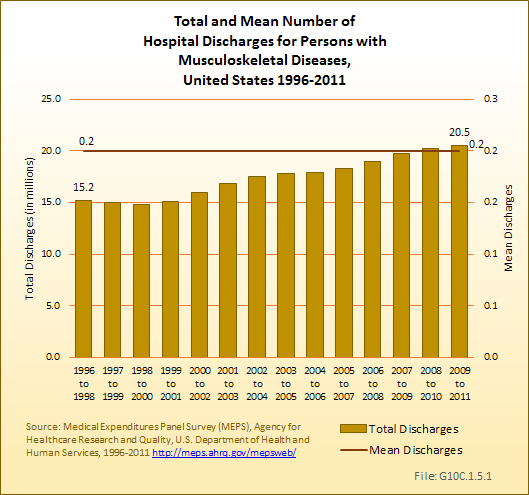 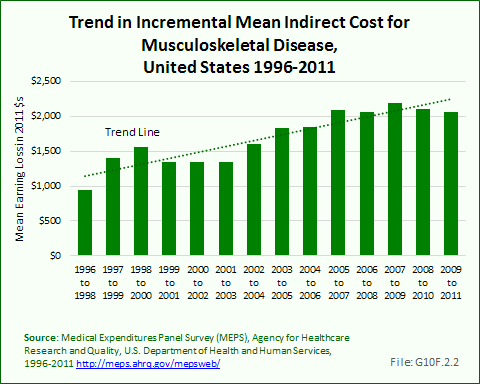 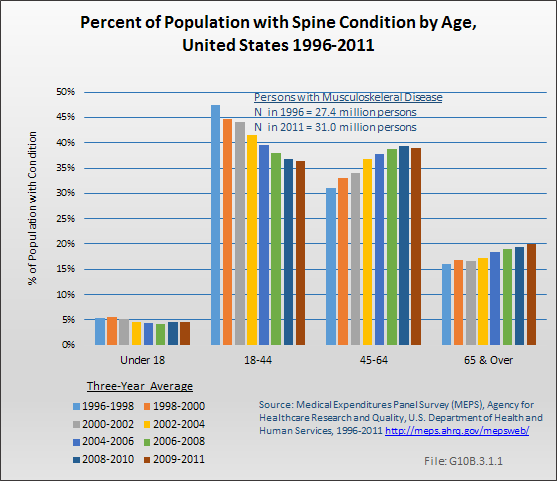 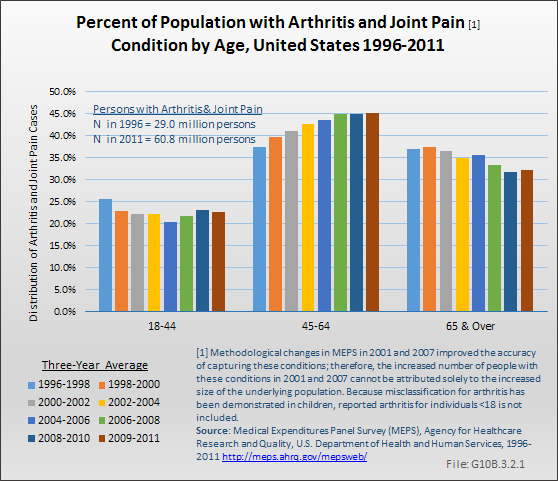 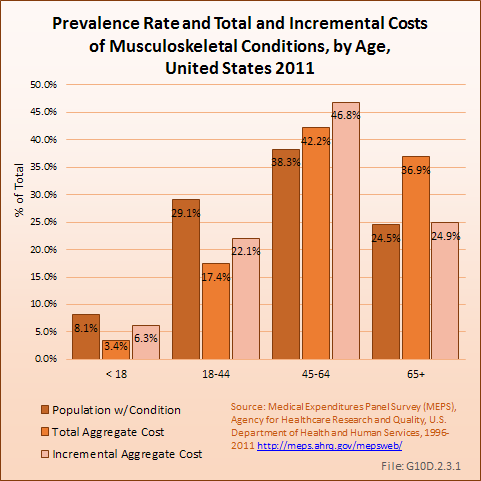 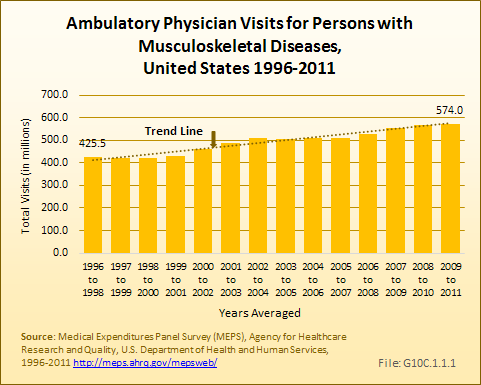 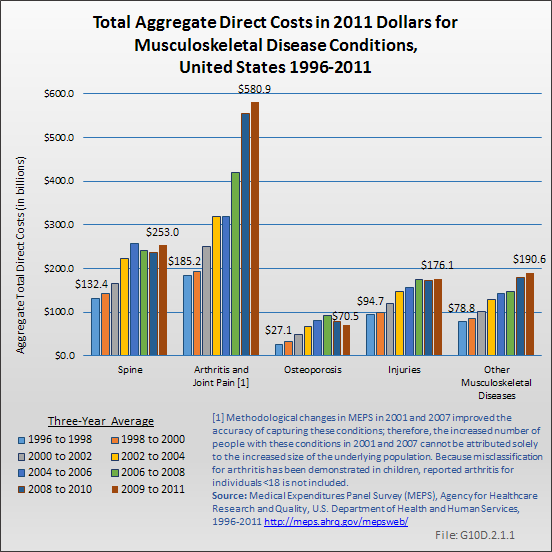 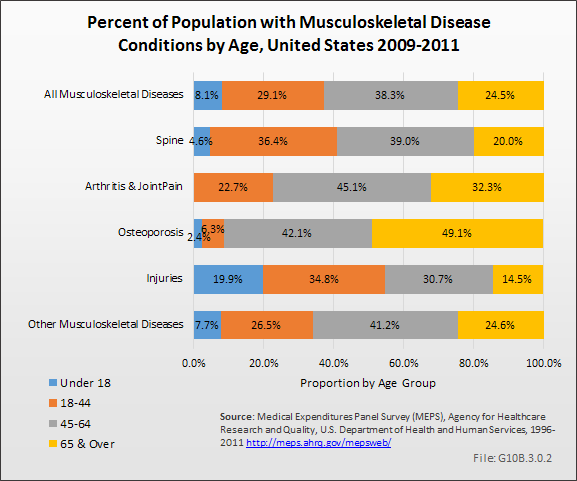 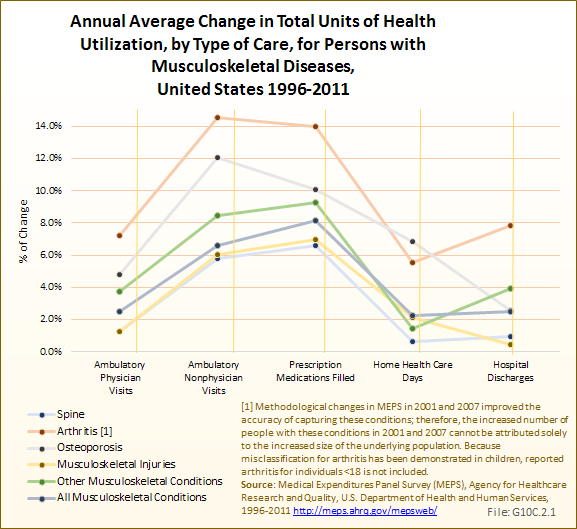 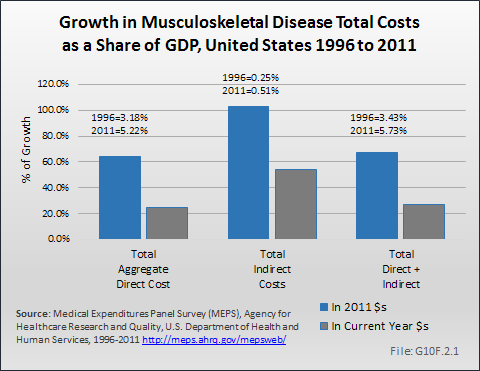 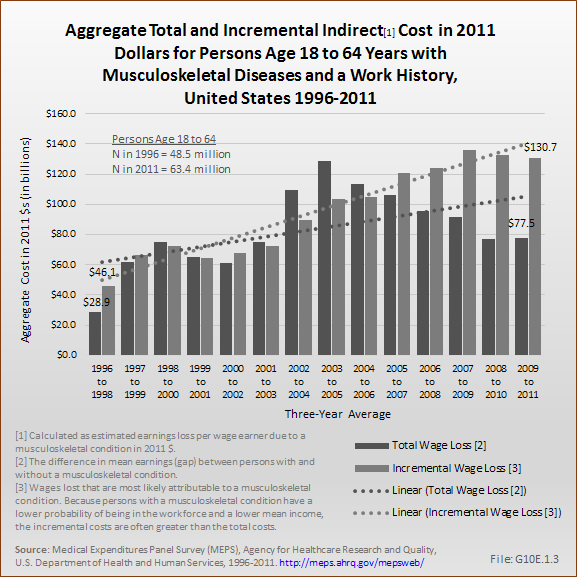 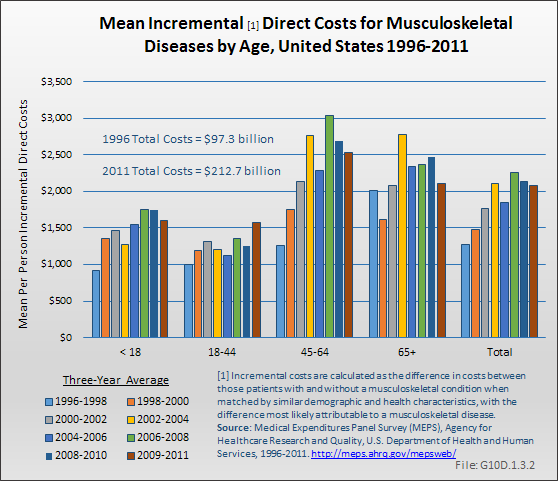 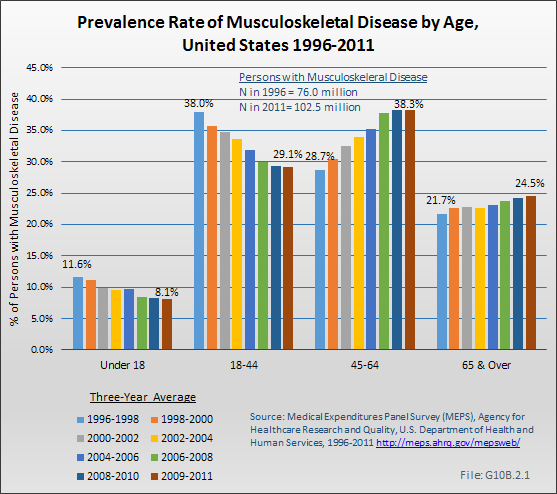 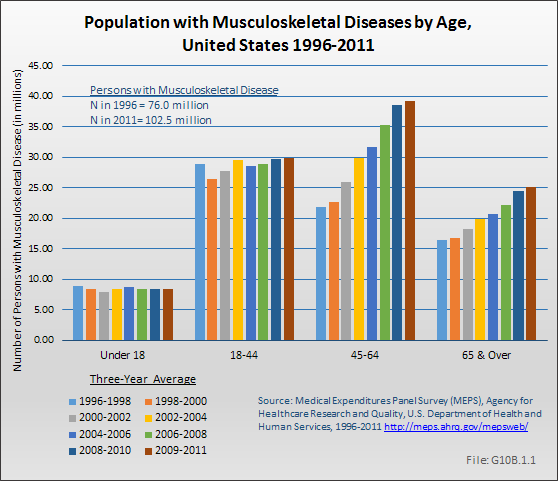 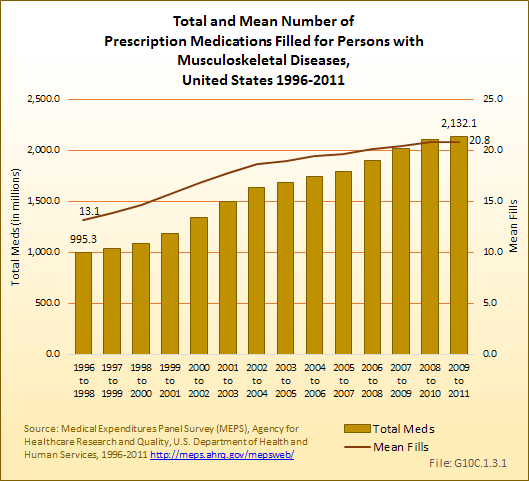 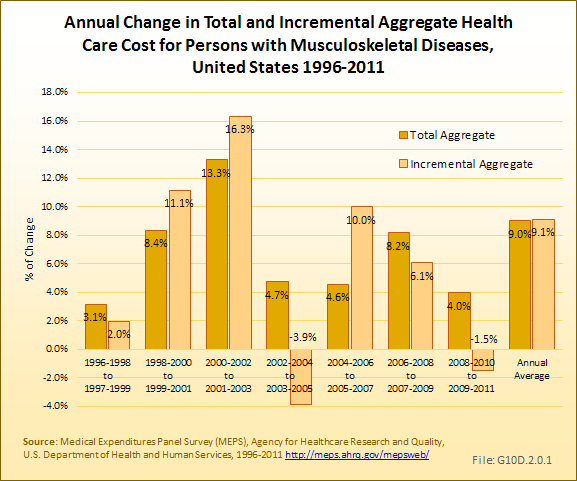 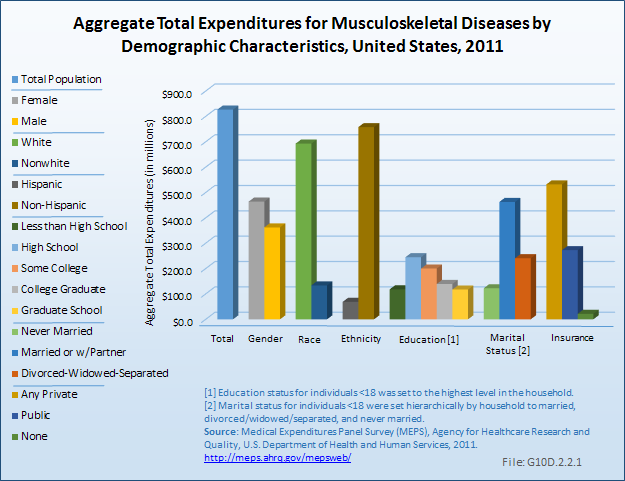 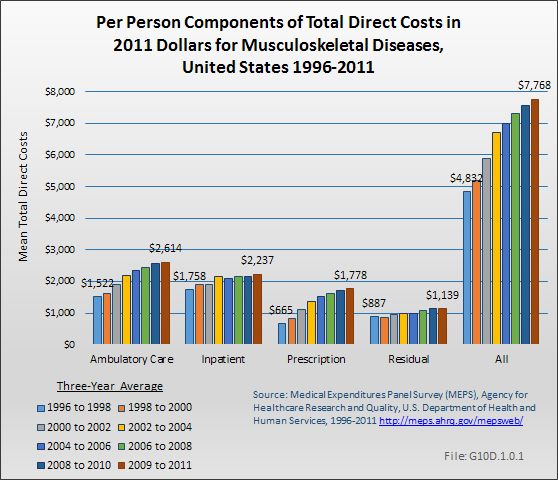 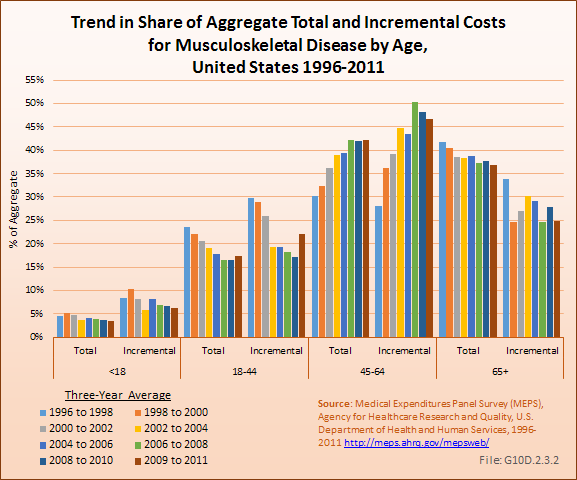 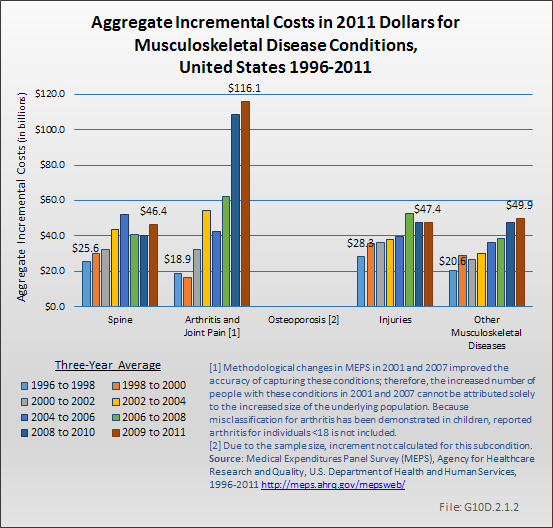 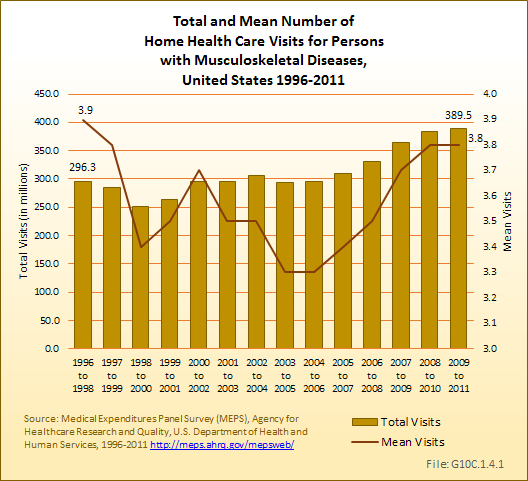 Musculoskeletal diseases affect the US economy through direct medical costs and through lost wages. 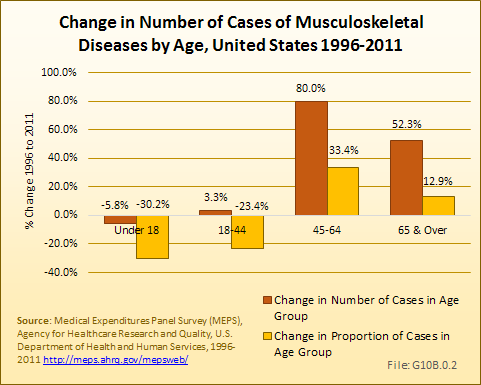 Changes in medical care, new methods of treatment, new drugs, and the overall economy all affect the impact of musculoskeletal diseases. 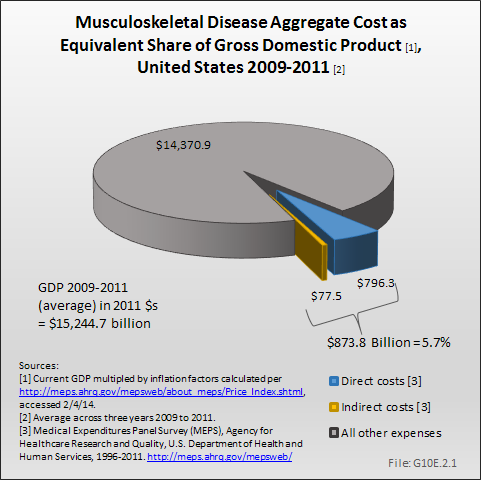 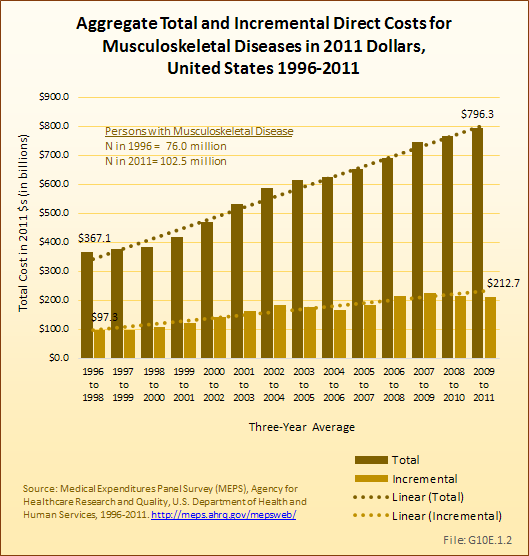 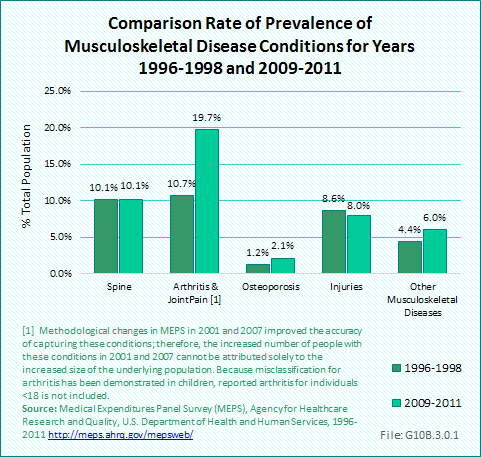 Musculoskeletal diseases are a major burden on the overall economy.